Selling a Company: Should I Tell The Staff? The first instinct for most business owners trying to sell their company is to keep things quiet. This approach has definite advantages, but what happens if the news does leak out? Will your previous silence make things worse? This article explores the pros and cons of keeping things quiet. Last week I took a call from an extremely agitated client. One of his staff had found out through a relative working for a competitor that his business was for sale. Now our client was in damage limitation mode. The employee involved worked in the warehouse. She had talked it through with her workmates who had suggested asking the warehouse manager. He was as surprised as the staff member and took it up with my client’s PA, and the Operations Director. In short the cat was well and truly out of the bag. Does Confidentiality Inevitably Break Down In Every Business Sale? Absolutely not, but it can happen, and this time it set me thinking about the best approach to take. 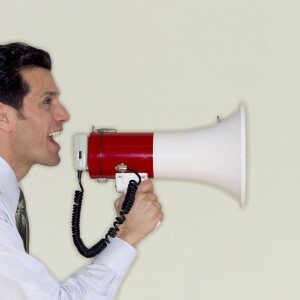 Is it best to tell your employees or to keep quiet? Are the benefits of keeping quiet worth the risks if the news does get out? What is really likely to happen if staff and customers find out you are trying to sell? Why Do Owners Decide To Keep Things Quiet? What are the fears that make an owner decide to keep quiet? At the least serious end of the spectrum a fear that staff will feel let down, or even sold out. Most business owners I know are tough enough to cope with this. More serious concerns might be that fear of job losses will impact quality or customer service. Could anxious sales staff tell customers causing a flight to the competition? Might key employees start to look for new jobs? Any of these things might jeopardize the sale of a company or reduce the selling price. This doesn’t mean you have to disclose everything about the process and give a blow-by-blow description of what’s going on behind the scenes. You will need to explain why you are looking to sell, and make a commitment to provide more information as the sale process evolves. Be careful not to make promises you can’t meet, they won’t be believed anyway. It is always a temptation to say that jobs will be safe, but staff know you have no control of this after the sale. Emphasise that a continuing high level of performance is the best way to safeguard jobs. Option 2: Try to keep things quiet. There is no doubt this approach if successful minimises the risk of adverse consequences . This is a powerful argument for remaining silent until a sale is finalised. The problems come if despite your best efforts the word gets out. Like my client you might face disgruntled staff at a critical point in the sale. Your key staff will feel most betrayed, the very ones likely to be most valuable to a new owner. If the news does get out confront it head-on. Call a meeting to give employees the information they need – and talk to the staff yourself. For sure don’t send round an email. My own preference is to share your intentions with a select few of your most trusted employees. They will probably have to be involved in due diligence anyway, and you will put them in a position to handle things professionally if the news does get out. On balance we recommend early disclosure to key employees. My own experience is that owner’s worst fears about the impact of disclosure just don’t happen in practice. I cannot think of a single occasion when a client has lost a key employee or customer because news the company was for sale got out. Customers are used to suppliers being sold and will give the new owners a chance to prove themselves. Employees are reluctant to walk away from jobs and risk losing redundancy payments. This is one of those many situations where the course that feels ethically most comfortable turns out to be the best for business. should staff be told a company is for sale?telling staff a company s for sale?What if my staff find out the company is for sale?